APOLOGETICA » Blog Archive » -Giglio Debacle: Are You or Have You Ever Been ‘Anti-Gay’? -Giglio Debacle: Are You or Have You Ever Been ‘Anti-Gay’? Are you now or have you ever been ‘Anti-gay’? That seems to be the new ‘witch hunt’ question driving the major media when it comes to Christian ministers. It also now seems to be a major qualifying question to be answered in the negative for anyone participating in the 2nd Inauguration of President Barack Obama. 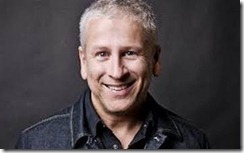 It all started when Pastor Louie Giglio was chosen to give the benediction at the Inaugural this year. He was being honored for his leadership in combatting human slavery around the world. Then a homosexual rights group uncovered a recording of a sermon preached by the pastor 18 years ago presenting a Biblical teaching on homosexuality and all heck broke loose. 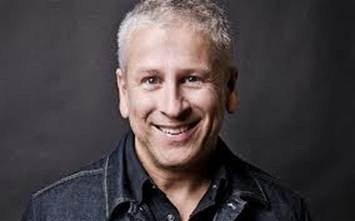 We were all caught up in the whirlwind events that followed the ‘Giglio debacle’ earlier this month but now after a few days to consider and evaluate what happened we now realize that there are dark future implications for Christians who still believe in the Bible in the zeitgeist of this radically changing culture. “Are you now or have you ever been ‘anti-gay’? In Pastor Giglio’s case, he was found to be wanting because he had actually (gasp!) preached a Biblical sermon on homosexuality 18 years ago and refused to back away from it now. Under these same conditions and questions most major pastors in America will be disqualified in the future including a majority of black ministers. In the media firestorm which followed there were a gaggle of editorial writers and political TV and radio commentators falling all over themselves for the opportunity to call Pastor Louie’s 18 year old message ‘hate speech.’ It didn’t really matter that they had obviously never listened to message at all or had even read a complete transcript of it. Nevertheless they made their rash judgments against it based upon self-serving out-of-context quotes. Then there was the spectacle of several major media folks ignorantly clamoring for the Bible to be ‘rewritten’ and for Christians to change their outdated religious beliefs. Worst of all were the so-called indignant (and also Biblically ignorant) ‘progressive’ Christians who continue to make the claim that we should only teach and follow what Jesus taught about loving everyone and that Pastor Giglio and other conservative Christians are hopelessly misrepresenting where the church needs to be in the 21st century. 2 Responses to -Giglio Debacle: Are You or Have You Ever Been ‘Anti-Gay’?